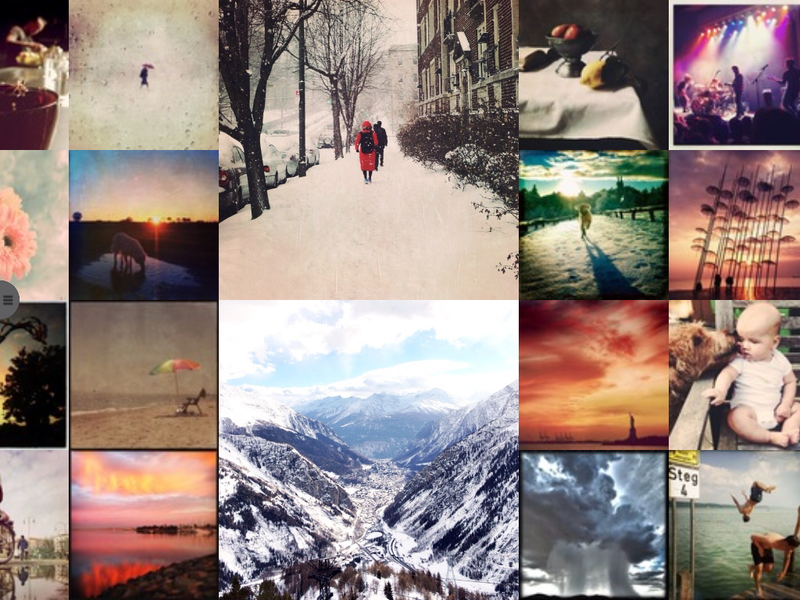 When Hipstamatic unveiled its new Oggl for iPhone last spring, the new app was a refreshing update on a rapidly ageing photo trend. For some advanced photographers whose interest ran toward more artistic creations, the whole lo-fi filter scene was starting to show some wear and tear. And now, a brand new version, Oggl 2.1, drops a shoe into iPad territory, offering a new slate of intriguing features such as SurfMode for iPad slideshow browsing and AirPlay streaming to all but the oldest Apple TV models. While the app’s venue has expanded, its mission stays the same: Curated selections of your finest work. While Oggl is basically a vertical app, the new SurfMode feature automatically turns your chosen feed into a landscape slideshow. Oggl—originally conceived as a ‘high-end Instagram’—was always as much about developing community as it was about photography. In comparison with Instagram, the all-inclusive bottom line, Oggl offers its target audience (from mid-level and serious amateur to pro) an alternative way to view and share their work. Oggl is Hipstamatic’s attempt to reinvent photo sharing for a more skilled constituency without alienating Hipstamatic’s cadre of enthusiastic customers. The iPad is obviously part of that strategy. 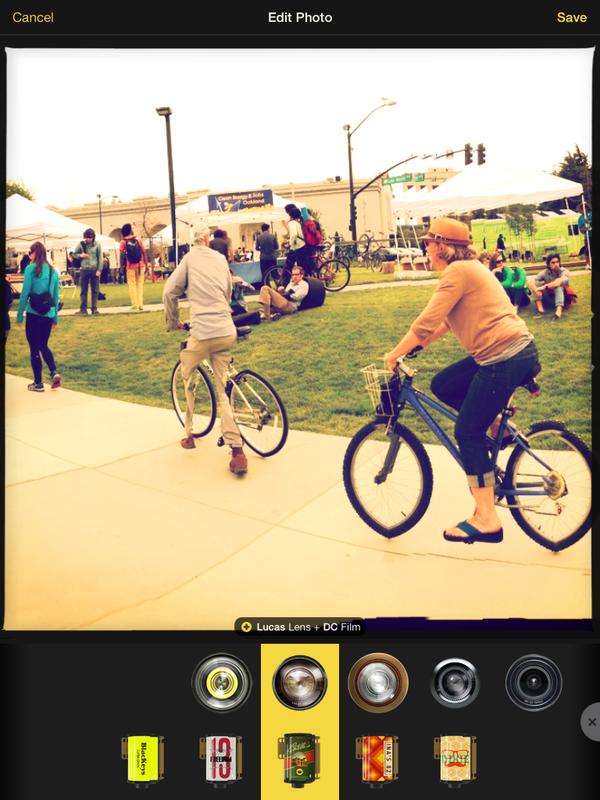 Like the original version, Oggl showcases Hipstamatic’s lenses and films (gear) to let you create a unique look. It features five default lenses and a matching number of default films that you can mix and match. It also comes with five built-in presets—Landscape, Portraiture, Nightlife, Food, and Sunset—to get you started. You can do your own combinations or adopt some presets from other users. If you’re not satisfied, you’ll have to reach for the credit card. Oggl comes with built-in gear: five lenses and five films to mix and match. That’s plenty to get you started. Indeed, an alluring set of new combinations is available, such as Sochi, Photojournalism, Silver Lake, Tintype, and others. 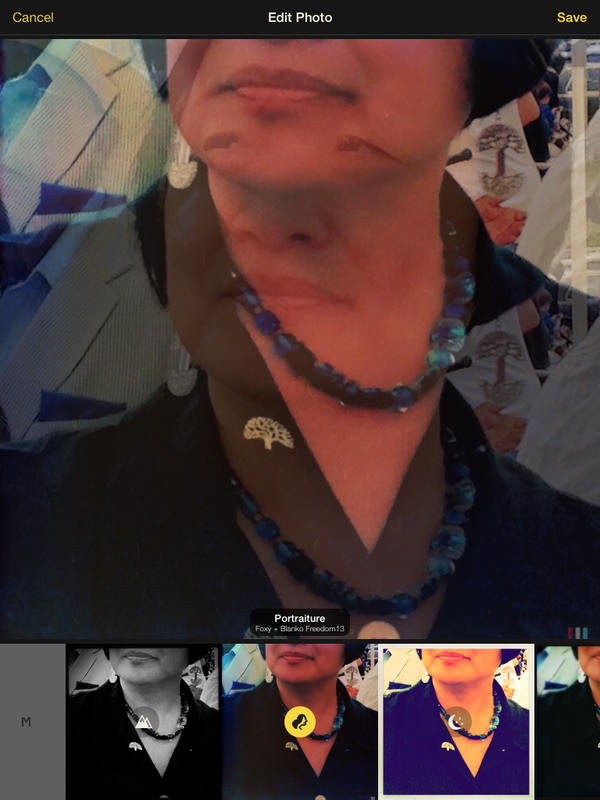 Oggl lets you see large previews of what these filters look like, and they are tempting. Updates over time have also broadened Oggl’s functionality. Especially convenient is the hook into your on-board images via the camera roll and various albums you store on your device instead of having to shoot with the app. 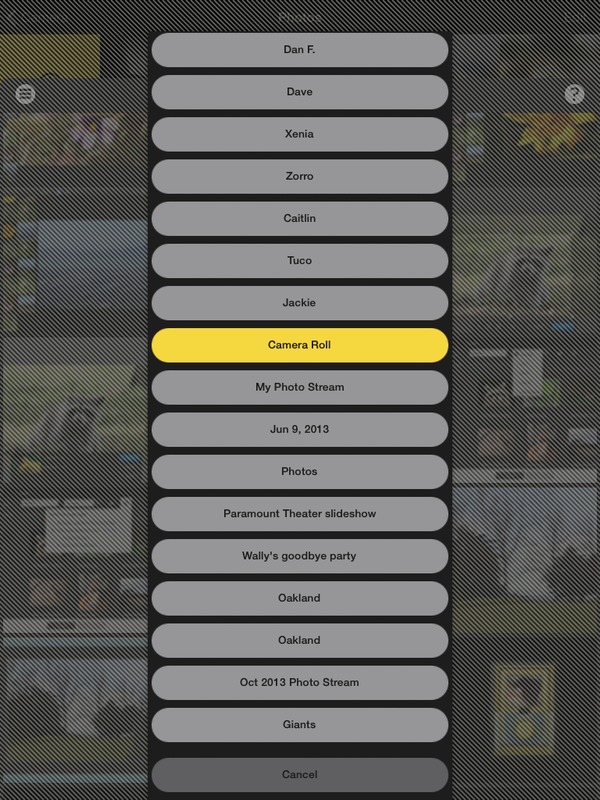 Oggl reaches into your camera roll to filter any shots you have. That especially benefits iPad users because it is still very difficult to use the iPad as a camera. Sure, people use their iPads as cameras all the time and I hesitate to decree that one method tops another if you are getting the result you want. It’s just not for me. And if you want to use Oggl on the iPad, it’s good to know that you can use photos shot with your phone or your camera. When you tap to import a photo into Oggl, it automatically scans your photo library to flag interesting compositions that will work well with its filters and weed out duplicates. It also removes photos that are too low resolution for the app. So right from the start, Oggl does some curation work for you. Once you’ve either snapped a photo or imported photos from your camera roll, each one opens in a large window with the presets underneath for you to try. Each preset annotates the combination that it’s using. To crop a photo, use pinch and swipe gestures. I recommend trying all the built-in presets first. Just because one is labeled Food or Nightlife doesn’t mean it can’t be used on something else. The plus sign at the end of the row takes you to additional paid presets. The M button takes you to the built-in lenses and film that you can mix up yourself. Oggl offers five presets that you can try out with your photos. To re-crop a photo, just drag right in the window. While Oggl has devoted much attention to the artistic nature of its filters, it concentrates equally on the social networking aspect of the app. As you launch Oggl, you can choose any number of feeds, as well as follow other photographers, accessed by the bottom Home button. A running notification ticker at the top of the screen displays information such as likes, favorites, number of photos you posted, and so forth. Oggl already has a thriving community, so you can stay pretty busy assembling collections, profiles, tags, and people to follow. You can also share a photo via email or social networks. The Oggl community is prolific in creating new filter combinations. But you have to subscribe in order to use these selections. A few things remain irksome about the Oggl interface. While the new SurfMode feature gives you an attractive slideshow when you turn the iPad on its side, you can only create in portrait orientation. There should be a full landscape position for this app. The new version also suffers from the same ‘unlabeled icon syndrome’ as the original. Some icons are obvious, others not so much. Good interface design calls for functions to be labeled properly. Oggl is pretty, but minimalist. 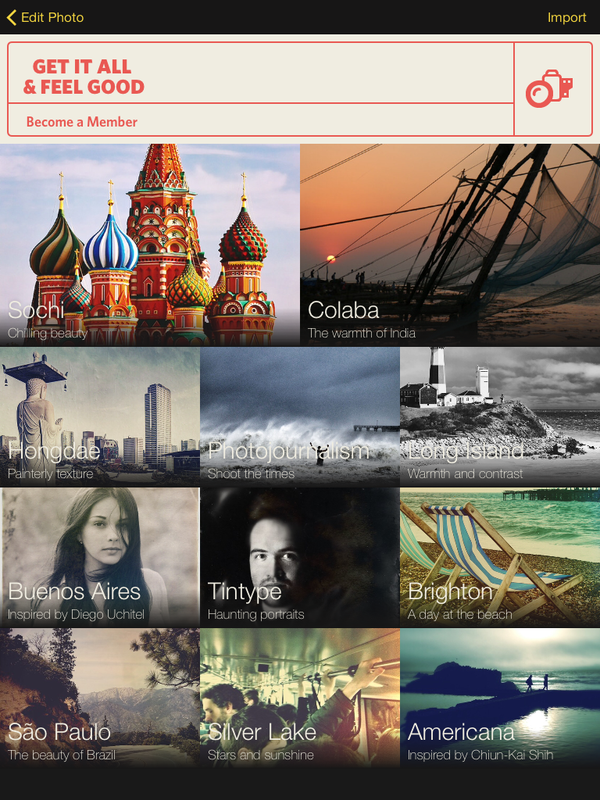 Oggl is initially free of charge and comes with a minimal number of filters and shooting combinations. But the heart of the app is its paid subscription system. It’s not an exorbitant amount, just $10 a year—the price of a couple of lattes—or $3 per quarter. Each subscription lets you access Hipstamatic’s catalog of current lens and film gear, and guarantees new additions, released on the first Friday of each month. If this is your cup of tea, it’s a sweet deal. Pros: Offers a variety of unique editing filters and combinations, easy to use, free for the default components, SurfMode feature and AirPlay capability broaden the appeal, stylish interface. Cons: No landscape creation position, some icons in the notification ticker are unlabeled.